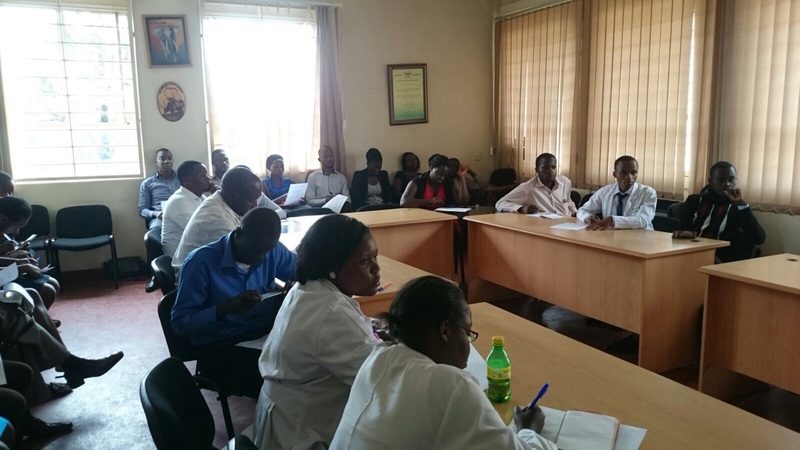 On Thursday I had my last teaching session with the Ugandan Pharmacy Interns working in the hospitals in Kampala. 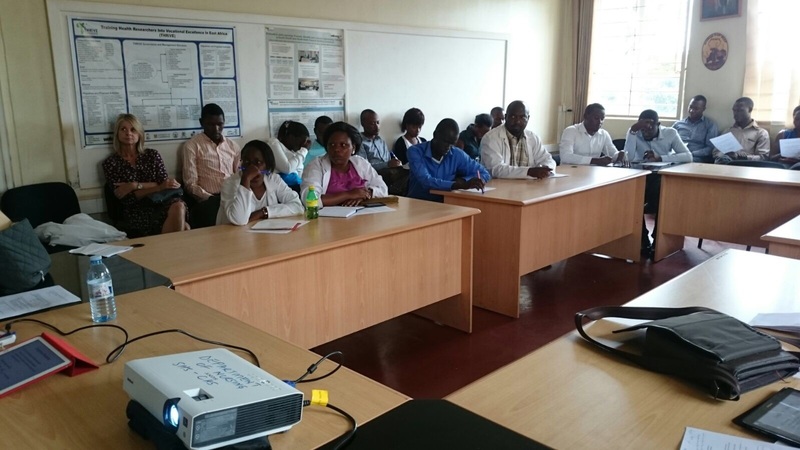 I spoke to them about making drug dosage adjustments when patients have impaired kidneys. I started to teach this 2 weeks ago but ran out of time and since I was going really fast, I think they didn’t all quite get it. This time I was able to go slow and take lots of questions. The Interns had taken a pre-test oat the prior session so I reviewed that in detail. The will also complete a post test to make sure they have comprehended the material and are able to start putting it to use in the hospital to help real patients. There was a great turnout for this Thursday. Gonsha, one of the Ugandan Pharmacists who came to the USA to work with me this summer runs the weekly intern training program. She precepts them as they work up and present patient cases so all can learn as well as schedules special speakers with unique area of expertise. 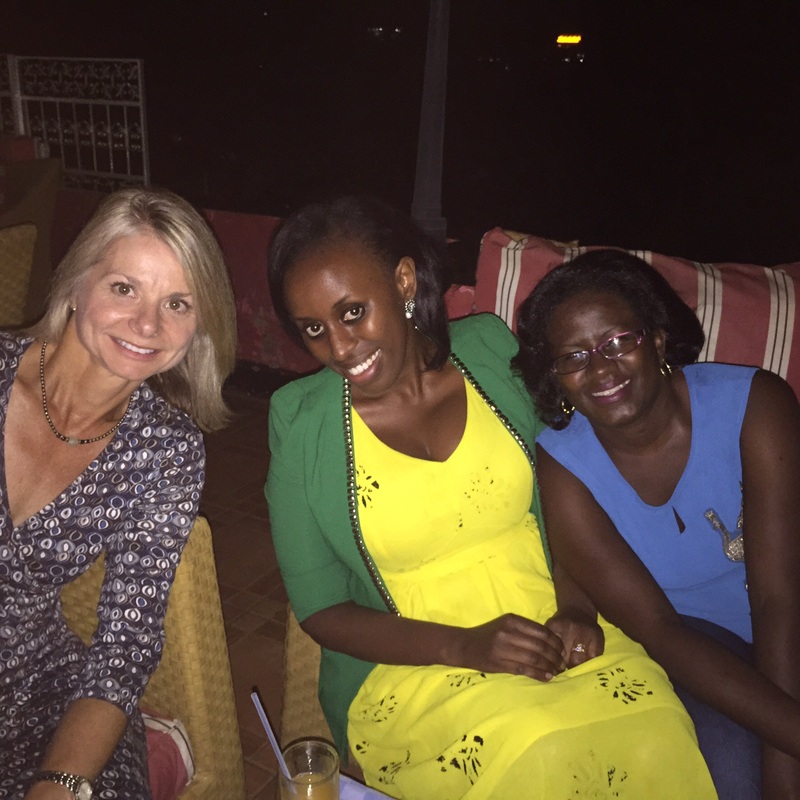 Friday evening, Susan Raber, pharmacist from the USA, Carol, the Mengo Hospital Pharmacist, and Julie, another pharmacist gathered for a nice dinner. 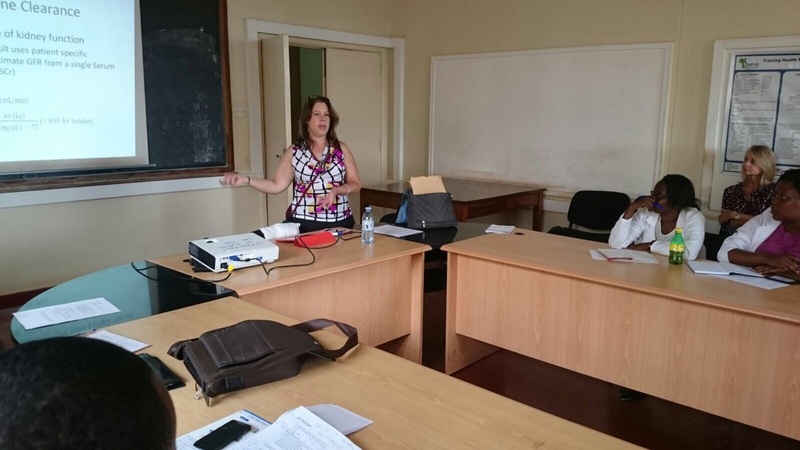 Susan, works for Pfizer Drug Company and back in 2008 she spent 6 months in Kampala helping to teach in the pharmacy program as well as precept students and interns at Mulago hospital. One of her areas of expertise is Pharmacokinetics and Pharmacodynamics and she taught this course as well as helped in others. What is really neat is that Carol and Julie were her students back then. Now they are accomplished Pharmacists and are doing wonderful work to improve patient care. This entry was posted in Diseases/Health, Teaching and tagged Global Pharmacy Education, Global Pharmacy Practice, Makerere University Department of Pharmacy, Mulago National Referral Hospital, Ugandan Pharmacists, Ugandan Pharmacy Interns, Ugandan Pharmacy Students, Wilkes University, Wilkes University School of Pharmacy. Bookmark the permalink. Thanks Dr Bohan for the great work done in Uganda. we appreciate. Stay blessed. Hi Stephen, thanks for reading. I hope you and colleagues are well in Uganda.